While Amal Neerad's mega-budget film, 'Arivaal Chuttika Nakshatram' (ACN), has had the fans talking for over two years, the latest from the production house is that the director might actually start work on the same team's Kunjali Marakkar first. 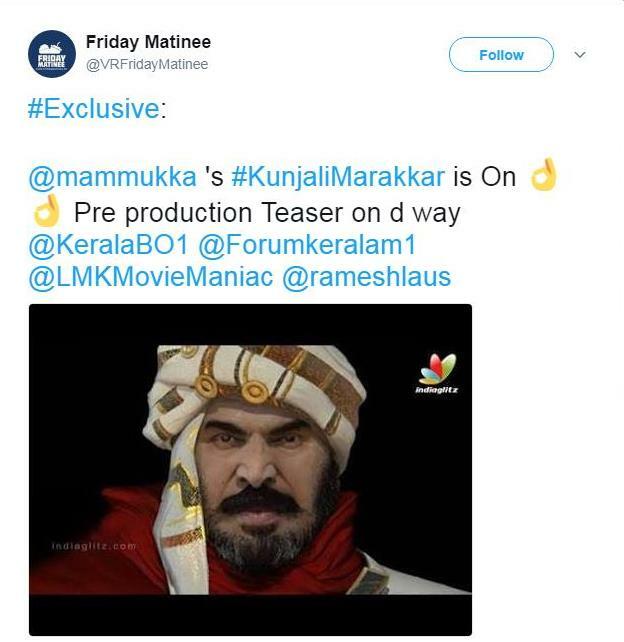 Our source from the production house run by Prithviraj, Santhosh Sivan and Shaji Natesan tells us that the firm is mulling on starting work on Kunjali Marakkar by February, and move the production of ACN to next year depending on how the former fares. Incidentally, both films are penned by Shankar Ramakrishnan, with Santhosh cranking the camera and Amal handling the direction. Last edited by Bahuleyan; 11-12-2017 at 03:49 PM. Last edited by BangaloreaN; 08-19-2017 at 11:59 AM. Last edited by Bahuleyan; 10-02-2013 at 04:54 PM. Last edited by Bahuleyan; 10-02-2013 at 04:57 PM. Last edited by Bahuleyan; 10-02-2013 at 04:53 PM. 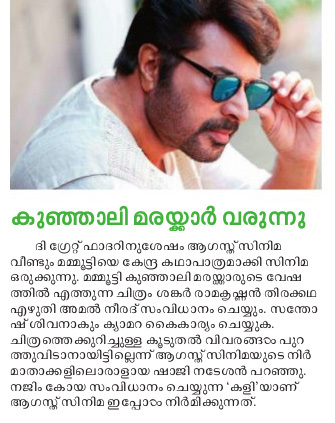 Mammootty can be likened to the purest breed of Red Oak trees- he shall still stand upright, rooted in deep and exposing his ornamental bark in all its glory and charisma.